Our range of monorail conveyorized oven is available in different models like 3 wheel with T-track, 4 wheel conveyor or 1 beam conveyor. 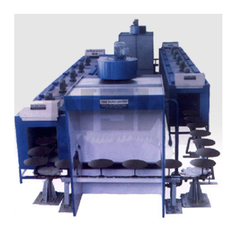 The jigs and fixtures of our oven are designed as per the requirement of our clients. Further, the products that are to be conveyed to the oven are changed at the appropriate height with hangers on the conveyor to pass through tunnel type oven. We offer a wide range of monorail floor conveyorised oven, which are available with oil-fired heat exchanger and high power blower. The conveyor of our range helps to carry the products on jigs. 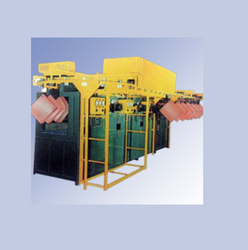 Further, the rotation of jigs on its axis can be offered manually as well as automatically. Blowers are incorporated to maintain temperature variation from zone to zone.